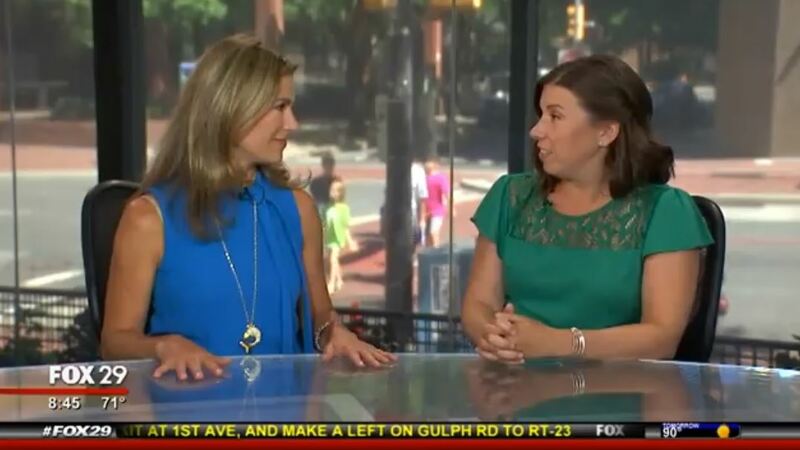 Claire, owner of HomeCooked, recently appeared on FOX 29 with Karen Hepp! The interview was for Karen’s segment on the Good Day Show, called Good Day Bizzy Mama, which profiles moms and their businesses. Click on the image below to watch the interview. Before her interview, Claire got her hair and makeup done at Studio H!